Baba Ghanouj (pronounced GA-noosh) is an Arabic dip made out of eggplant, and most often served with pita. Yum! I had a random eggplant that was getting a bit mushy. I was scared to roast it or fry it, for fear that it would turn to mush before it would become my dinner. So, I embraced the mush and made some baba ghanouj. It was so easy! I used the recipe out of Joy of Cooking as my inspiration, and set to it. 2. 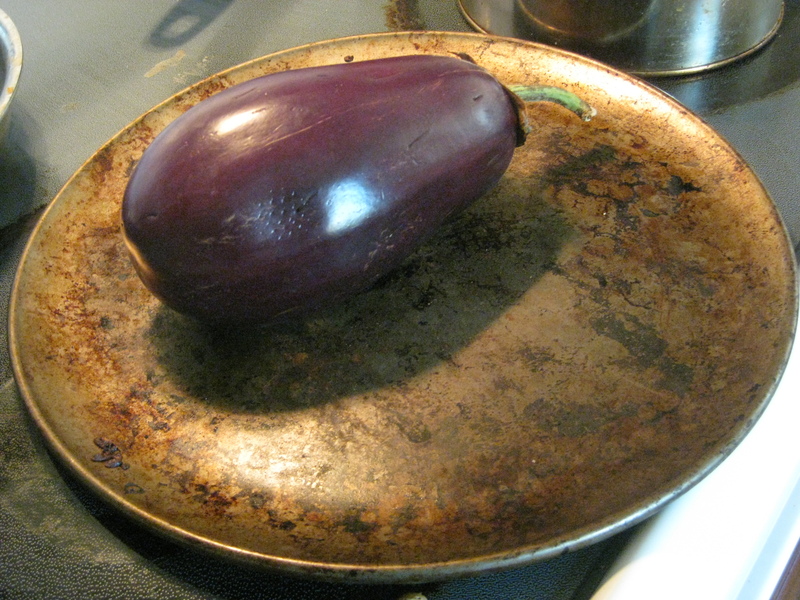 Prick your eggplant in several places with a sharp knife so that it doesn’t explode. Once again, my 8 year old self would really like to find out what happens when an eggplant (or squash) explodes. 3. Pop it into the oven and let it roast for 40ish minutes until the skin is dark purple and wrinkly. 4. Let the eggplant cool until you can comfortably touch it. Slit it open and pull out the pulp. It looks really gross. Don’t be scared. Separate out most of the seeds. A few won’t kill you if they get in, but you don’t need them. Dump the pulp into the food processor. 6. Process it up! It’s done when it’s smooth. Serve with pita bread. Or chips. Or baguette. Or anything with carbohydrates, really. 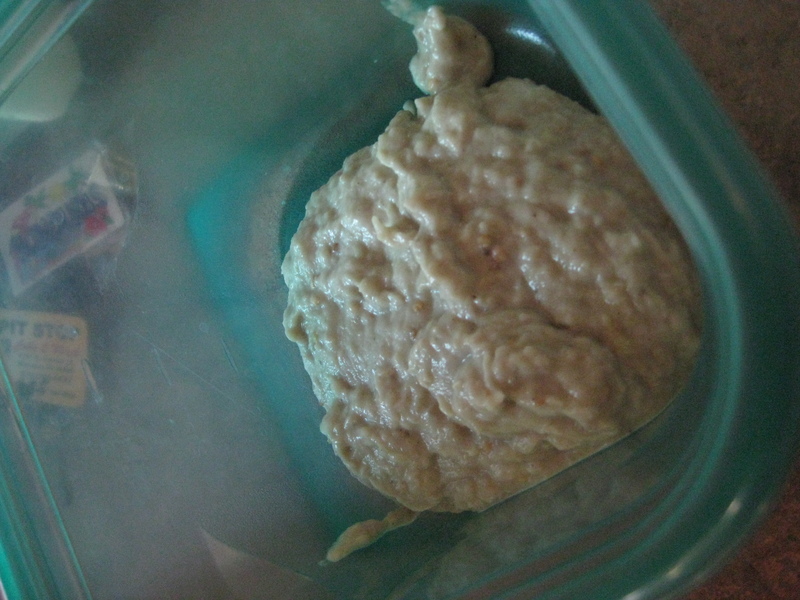 It’ll keep in the fridge 3 to 5 days, and is best when served cool or room temperature. If you want to serve this as an appetizer for a party (which is a really swell idea) you’re going to need 3 or 4 eggplants. So, adjust the ingredients accordingly. If you want a snack just for you, one is perfect. I preferred grilling it over the stove because it was a little faster than waiting for it in the oven. 🙂 So yummy though, right?